Thanks to a joint effort by ARRL and the Vintage Radio and Communications Museum of Connecticut (VRCMCT), a classic Gates BC-1T AM broadcast transmitter will enjoy a second life on the Amateur Radio bands for occasional use under W1AW or under the ARRL Headquarters Operators Club call sign, W1INF. 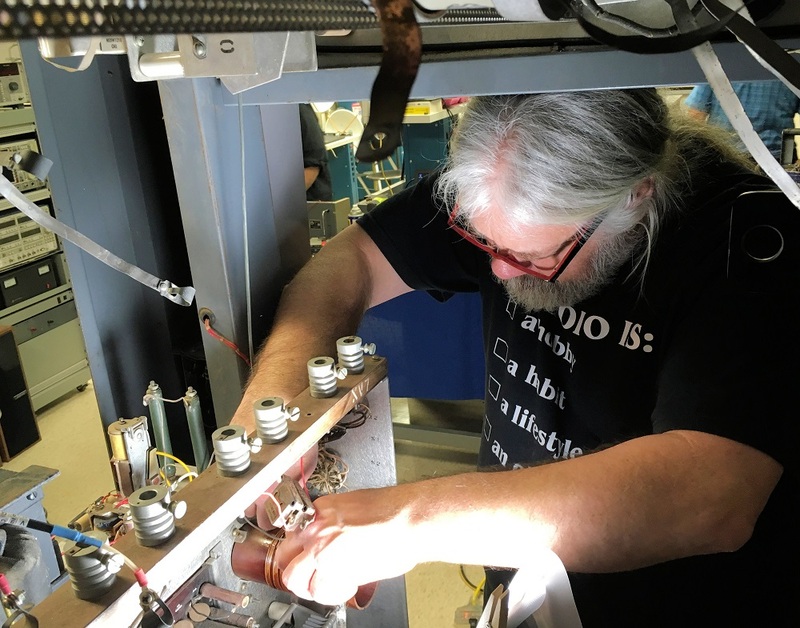 Spearheaded by broadcast engineer Dan Thomas, NC1J, VRCMCT volunteers restored the1-kW transmitter to operating condition, after obtaining it from the National Capital Radio and Television Museum in Bowie, Maryland. The VRCMCT will retain ownership of the transmitter, while the League houses, and maintains it on loan. 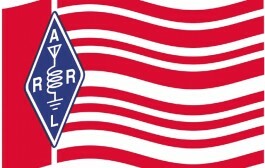 The transmitter will be located in the ARRL Lab, and Assistant Lab Manager Bob Allison, WB1GCM, said the transmitter could be on the air as W1AW during such operating events as the AM Rally and the Heavy Metal Rally. 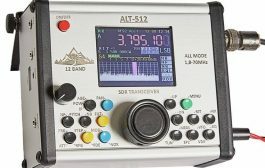 ARRL turned to AM guru and veteran broadcast engineer Tim “Timtron” Smith, WA1HLR, of Skowhegan, Maine, to handle shifting the BC-1T from 1340 kHz to the ham bands. 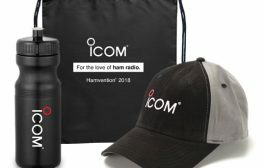 Timtron not only has been an AM mainstay on 75 and 40 meters over the years, he’s engineered all manner of AM, FM, and HF broadcast transmitters in his extensive career. 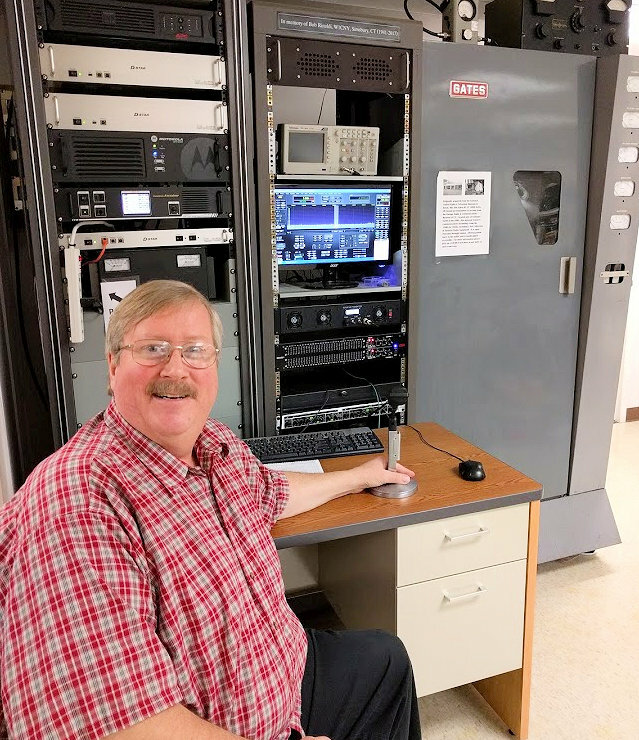 This combination of familiarity and experience made him a logical choice to handle the conversion to amateur use of the Gates BC-1T, which once transmitted country music from KPGE in Page, Arizona. 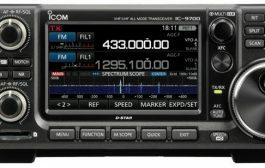 While a shift from the higher end of the Standard Broadcast Band to 160 meters alone might seem rudimentary, various stipulations added a level of complexity. First, the transmitter had to be modified as little as possible, retaining original components. That ruled out completely redesigning the circuitry. The 833 final amplifier tubes, better suited for broadcast-band use, would be retained as would the inductance-heavy tuning circuits. 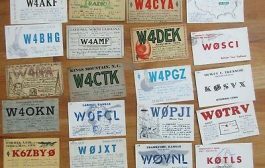 Another requirement — this one set by Smith — ambitiously called for the transmitter to function on 75 as well as on 160 meters. The plan was to accomplish the conversion in two phases, with the first to be completed in a few days and include basic crystal-controlled functionality on 160 and 75. The second phase will include adding remote control, relay band switching, and external RF drive for frequency agility, to be completed later. Each RF stage was converted, starting with the Colpitts oscillator — which offered two octal tube sockets to hold broadcast crystals, and a selector switch. As most veteran radio amateurs may recall from their Novice license days, an octal socket will accommodate FT-243-case crystals; in this case, only minor rewiring was needed. More complicated was changing out feedback and loading capacitors in the oscillator stage, along with the buffer tank circuit. The driver tank circuit was next. 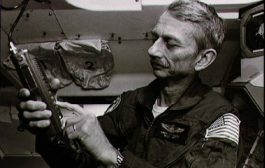 Removing one-half of the windings on the multiple tank, changing some connections, shortening long leads on RF bypass capacitors, and modifying the neutralization circuit were necessary.